Is there a connection between gluten sensitivities, leaky gut and candida? They tend to appear together, and in fact gluten sensitivities are extremely common among Candida sufferers. But is this correlation or causation? The inner ecosystem of your digestive tract is a rich community. It is bustling with bacteria and yeast. As it turns out, these bacteria and yeast do more than help us digest food and manufacture nutrients. The bugs in your gut also interact with your immune system, the chemicals in your brain, and your hormones. Candida is a well-known yeast that is present in all of us. Normally it is kept under control (or in balance) by your good bacteria. If this balance is disturbed, generally from a diet high in sugar, refined and processed foods, alcohol, too much stress, too many medications or antibiotics, the contraceptive pill, bacterial overgrowths or an imbalanced immune system, it will seize the opportunity and overgrow, taking hold of an environment. When candida overgrows, your friendly bacteria begin to drop in number and you may begin to develop the symptoms listed below. Reoccurring vaginal infections including thrush and/or urinary tract infection. What goes into your mouth (and into your gut) influences your inner ecosystem. 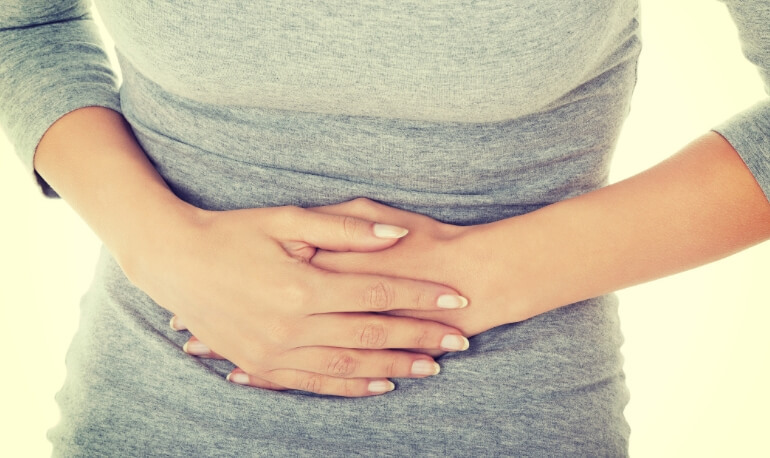 Certain foods can irritate the lining of the digestive tract. Other foods feed disease-causing bacteria and candida overgrowth. Once this happens, the gut wall, or the landscape of your inner ecosystem, becomes inflamed. An inflamed gut is a ‘leaky gut.’ When you have a leaky gut, foreign particles and toxic substances can begin to travel throughout your body and cause serious systemic issues. When your intestines are leaking food particles into your bloodstream, your immune system goes on hyper-alert, trying to protect your body from all these ‘foreign invaders’. This means your immune cells are constantly producing various antibodies to fight off the invaders. As a result, your body can become even more susceptible to antigens in certain foods, such as gluten and dairy. Breads, pastas, cakes and cookies all contain gluten, a protein that causes an autoimmune reaction in someone with yeast infections, and their natural sugars will continue to feed the yeast. You can read more about going gluten free here and here, and why it is a good idea to eliminate it completely here. Avoid mushrooms and dairy too as they feed candida. Healing can only begin when you cut out the inflammatory foods mentioned above (especially sugar and alcohol!). Replace inflammatory foods with healing foods and supplements that will repair your gut. The gelatin and collagen contained in bone broth helps to heal, seal and soothe the gut lining and, in doing so, can be very helpful for reducing intestinal inflammation and reversing leaky gut syndrome and other digestive problems. Broth is a wonderful source of bio-available nutrients in an easy-to-digest form and it also enhances the absorption of nutrients from other foods. Including rapadura sugar, honey, dates, maple syrup and high sugar fruits and vegetables such as pineapple, watermelon and sweet potatoes. Berries are your best choice to consume as they’re lower in sugar whilst calming down the overgrowth. Read my blog ‘Unmasking hidden sugars’ for more information on this. You may need a stool test to determine what is best for you. Especially the cruciferous ones (cauliflower, Brussels sprouts, broccoli, cabbage, etc).They will aid detoxification, they’re rich in fibre so will help support your good gut bacteria grow and they don’t contain a high level of carbohydrates. Natural fats are so very important for supporting our gut health! Fats stimulate the gallbladder to produce bile which can help flush out toxins from the liver. I recommend including a variety of quality fats such as cold-pressed nut/seed oils such as pumpkin seed, walnut, olive and macadamia nut oil, as well as cacao butter, grass-fed ghee and butter (if tolerated), Inca Inchi Oil and Coconut Oil. One of the best fats you can eat for your gut health is coconut. Coconut oil has short chain and medium chain fatty acids that are antiviral, anti-fungal and antibacterial— which is why it’s recommended on many gut healing or candida protocols. Coconut oil is also a natural anti-inflammatory, which can help soothe the intestinal lining and improve inflammatory bowel conditions. While we can’t always avoid stress completely, we can minimise its effect on our life. Some easy stress-relieving techniques include yoga and meditation. Just 15 minutes of meditation a day can help to switch your body from ‘fight or flight’ mode to ‘rest and digest’ mode, which activates healthy repair functions. Regular daily exercise also helps to relieve stress – even if it’s just a 15-20 walk. Our air, food, skin products and even water can be filled with chemicals and pollutants. All of these things have to be filtered out by our body’s detoxification pathways (the liver and the skin). If these become clogged, more toxins build up – triggering more inflammation in the body. Although you can’t dodge all toxins, you can give your body a helping hand by drinking pure, filtered water, using only organic/natural skin care products and eating organic foods. Or book a health review with myself or Sheridan. Some cases can be complex, so your chosen pracitioner may also recommend supplements and herbs and provide lifestyle advice to help you achieve the best long-term results. Candida overgrowth can lead to leaky gut, a condition where the wall of the small intestine becomes permeable (leaky), allowing undigested food particles, toxins and bacteria to ‘leak’ into the bloodstream. Effectively treating candida involves stopping the overgrowth, restoring the friendly bacteria that usually keep them in check, and repairing your gut so that candida can no longer enter your bloodstream. And you’ll probably find that as your candida clears up, your leaky gut syndrome will repair itself too. This information is not intended to take the place of advice from your personal practitioner and is not intended to diagnose, treat or cure leaky gut or candida. Discuss this information with practitioner to determine what is right for you.